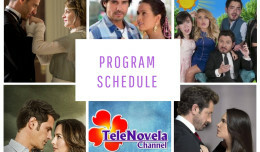 Passion: Episode 70 | TeleNovela Channel - Bringing you closer to lifes drama. Santiago gets shocked as he meets the real Ricardo Lopez de Carvajal and furiously rebukes Ascanio for not telling Camila about Ricardo’s real identity. Ascanio tells him that Camila knew about his identity but still chooses to be with Ricardo. Meanwhile, Jimena tells Vasco that he is lucky that his family still loves him in spite his foolishness. Camila gets into an argument with Lisabeta while Alberto, as ordered by Don Jorge, signs Camila’s parole.